Create Gmail Account without Phone verification: Hello we are here with an awesome post on Latest Tricks to create Gmail mail account without phone number verification. Many people are using google mail accounts for their daily usage. As we all know that Google mail service is the worlds largest and huge email service to send emails. With Only One Google account we can access many Google products for free. We use more than one google account. Some may want more than 10 or above then he needs to verify each account with a phone number. If you are searching for Creating a New Gmail account without phone number verification then you are the right place. 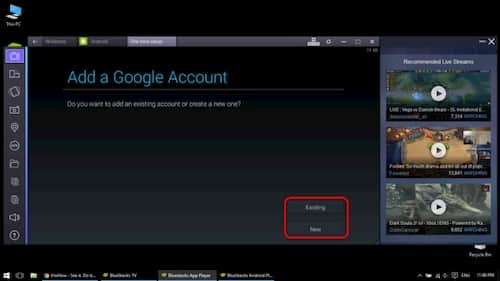 So today we are going to reveal the trick to Create email account without phone number… So in this method, the first thing is, You need an android device or Bluestacks software installed on your pc. You may have doubt about Why this Bluestacks is for?? And What is this Bluestacks Software is all about?? Bluestacks is an android emulator for pc. Which works the same as an android device but it works in pc. So with this software, we can use our pc as an Android phone. You can more information about bluestacks from here. Now start below steps and follow it perfectly. Open the bluestacks software on pc. Now go to settings and click on Google Icon to Create a Gmail account. Click on Add a new Google Account. Now it asks you to enter your first name, last name, select Username, recovery mail address, and Captcha. Enter them and click on create an account. Boom!!! You Can Create an email account without any phone verification. Use this process and create unlimited accounts without phone verification. Note: If you are not set up a recovery email address then it will ask for phone verification in 2-3 days. So to be out of those situations I suggest you enter the recovery mail. You all know well that recover mail is just to use when you forgot the password of the present account. So this is the best trick which I followed and created many emails without a phone. 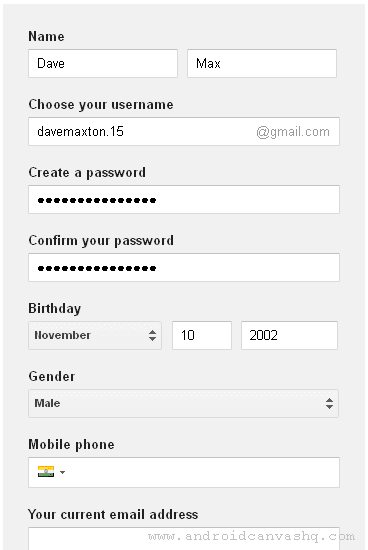 We do have another way to create Gmail accounts without phone numbers. Check them below. First, you need to clear the History, cookies, and data of the browser. Now enter the complete details and keep a note in mind that you should be under 15. So select the date of birth correctly. Leave the mobile number space empty. Enter the recovery mail, accepts the TOC and click on create an account. Boom!! You have created the Gmail account without any phone verification. Serious Note: Don’t Create more than 06 – 10 accounts, Google may detect the IP address and block it. You may change the IP address and create as many as you can. So these are the two methods which I use to create unlimited Gmail accounts. Hope you like the article and don’t forget to share with your friends and families on social media like Facebook, Whatsapp, and Twitter. Comment if you face any problems while creating the accounts. We will help you with your problem. Visit Basictricks from more updates.